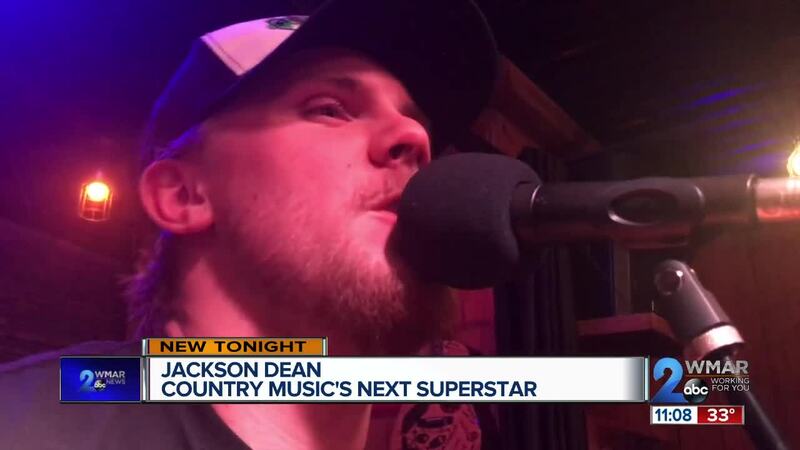 Jackson Dean’s parents built him an arena. Soon he will be filling arena’s all over America. (WMAR) — Some parents tell their kids to go to the garage or down in the basement to bang the drums. Super-stardom came early and quick after he sang the National Anthem in his Arundel High School football uniform. Jackson has been performing since he was 14. He writes all the songs and gets a thrill when the audience sings along with him. Jackson finished up at Arundel last week but still plans to go to the prom and plans on playing the Grand Ole Opry. He has an album due out next month. But before he lives for Nashville he wants to play for a friend he never met. Connor Freed. Connor would have been friends with Jackson. Played on the same team. Gone to the same hang outs. But Connor died 13 years ago. He drowned at a community pool. Ever since that his mom, Debbie Neagle Free has been on a mission to make pool safety a number one priority. She wants America to follow what Maryland has already done. Making it mandatory to have a defibrillator at every public pool. So Debbie got in touch with Jackson's mom to see if he could play a benefit. Jackson will sing for Connor Cares on Saturday night March 23rd at Blackwall Barn and Lodge in Gambrills.